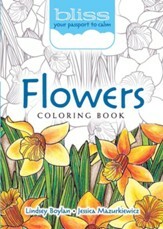 This adult coloring book provides calming flower designs to fill with color that will cause your imagination to blossom. Created in the Zendoodle style, these delightfully soothing designs will allow you to simultaneously practice mindfulness and express your creativity through your favorite color choices - the perfect remedy for stress. Single-sided perforated pages allow you to easily frame your finished artwork. Nature has, throughout time, been an inspiration for artists around the globe. Both experts and beginners love depicting nature through oils. watercolors, and other painting techniques. 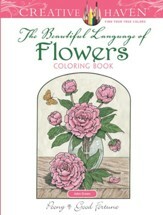 No matter your skill level, you can join the many artists who have gone before you and color beautiful flowers in Adult Coloring Book: Amazing Floral Designs. 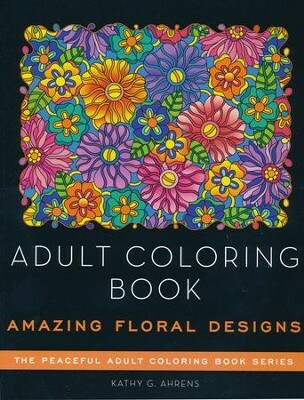 Use your copy of Adult Coloring Book: Amazing Floral Designs to use your mind in a new way and celebrate the beauty of nature. Kathy Ahrens was born in California and spent most of her life traveling, exploring nature and loving every minute of it. She loves to incorporate the beauty of flowers, trees and leaves into her drawings. She resides in Green Bay, Wisconsin with her husband of 32 years and along with him, continues to explore the beauty that this world has to offer. 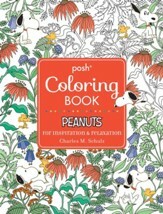 I'm the author/artist and I want to review Adult Coloring Book: Amazing Floral Designs.